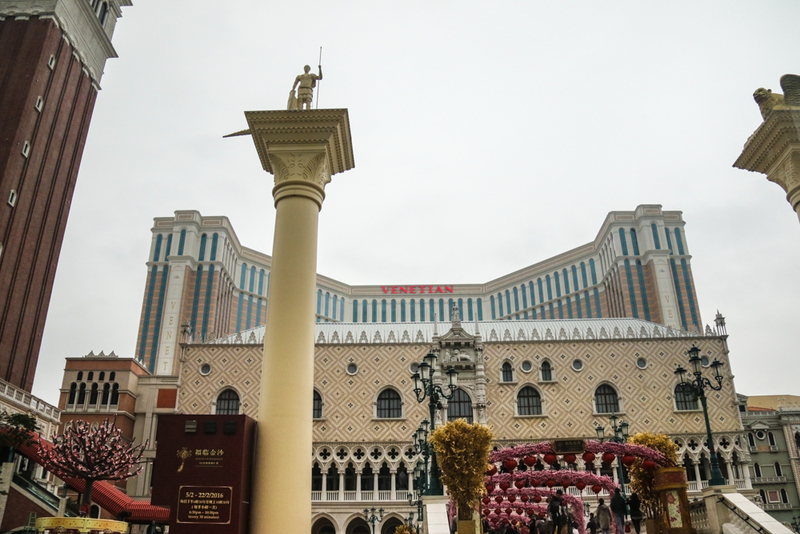 The mighty Venetian (澳門威尼斯人度假村酒店) dominates the lower part of the Cotai strip. 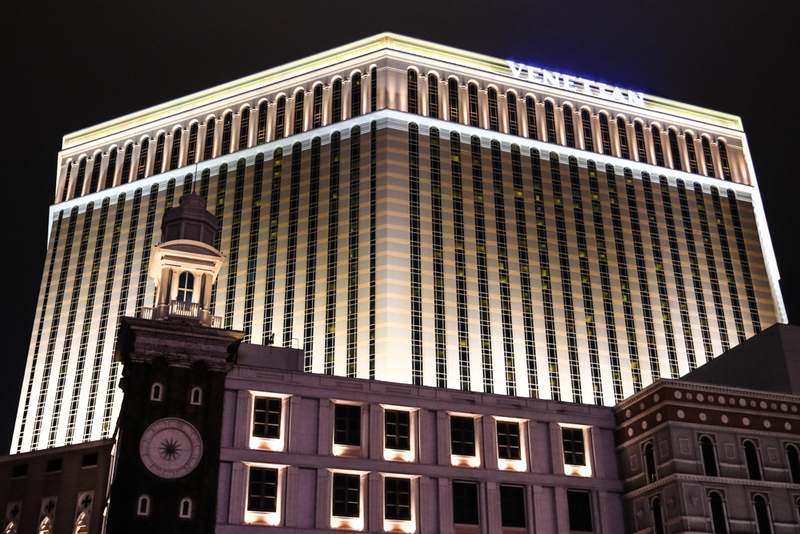 Opened in 2007, it is a 39 story themed casino hotel owned by the American Las Vegas Sands company and obviously styled on Venice and Venetian history. 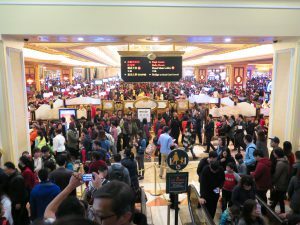 It is the 7th largest building in the world (at the time of writing, based on floor area) (incidentally, the Sands Cotai Central just over the road is the 8th largest). It can also boast of being the largest casino in the world, and the largest single structure hotel building in Asia. 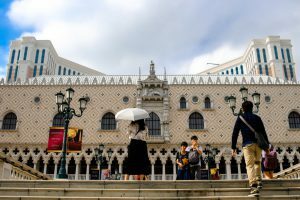 It connects with the Shoppes at Four Seasons, which now also joins to the newly built Parisian (all owned by Sands) – so you can walk under cover from the Venetian up the strip to the Parisian (and optionally cross over the covered bridge across the road to the Shoppes at Cotai Central). 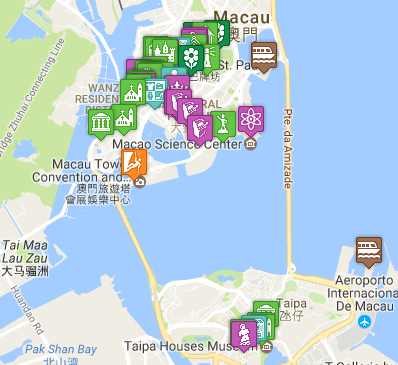 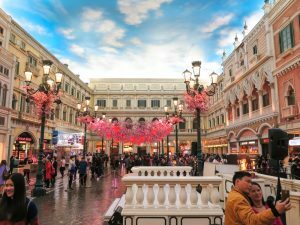 If you visited Macau as a tourist and just wanted to see the sites with limited time, with a casino on the strip thrown in – I’d probably recommend the Venetian as your first port of call. 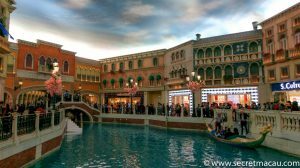 The whole theme and atmosphere of the place is hard to beat. It’s probably the busiest casino on the strip (which may, or may not be a good thing) and the Venetian theme running throughout makes it ideal for photo opportunities. 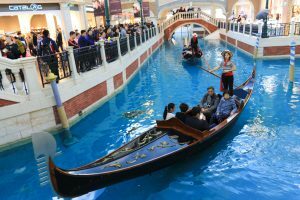 I’m not one for fake glitz and mock history, but to be honest it’s all pretty well done – it’s obviously fake, but it’s well done fake – and an enjoyable place to wander around and just take in the sights (and optionally shop/eat/play on the casino floor or take a gondola ride down the indoor canal). 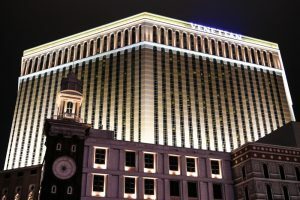 It’s star may be eclipsed by the newer kids on the block – notably the Parisian and the newly opened Wynn Palace (and the even newer ones currently under construction), but it’s still probably the heart of the strip for now. 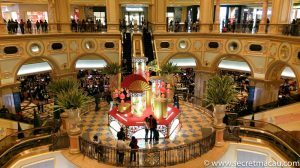 It also has good links to the other casinos if you decide to explore further – you can walk under cover up the strip – to the Parisian via the Shoppes at the Four Seasons (and then its just a short walk outside to Studio City), or cross the road to City of Dreams and Shoppes at Cotai Central, or alternatively take the longer walk outside over to the Galaxy (and from there explore Taipa Village).